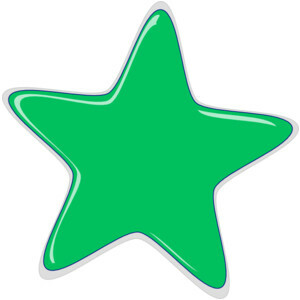 Guys, today I reached 100 followers on greenish bookshelf! 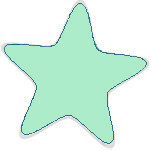 Thank you, thank you for taking the time to read and comment on my posts. This book blogging world is my new favorite thing and I have loved meeting you all! Today I am reviewing a book that may surprise you (it certainly surprises me). I am visiting my parents right now and my mom had me read this book for her upcoming book group this coming Wednesday. The group is full of some of my favorite ladies from my local Mormon congregation growing up. So I jumped at the chance to read something fun and discuss it with great women! This novel surprised me (in good ways) for several reasons. The historical elements in the novel. We get a lot more details about WWII, how to fly airplanes, and women in the military than I expected. Super cool! The twists in the story. I thought I had it all figured out. And then twist after twist surprised me. The unique writing style. We get traditional prose, letters, and various points of view and points in time. 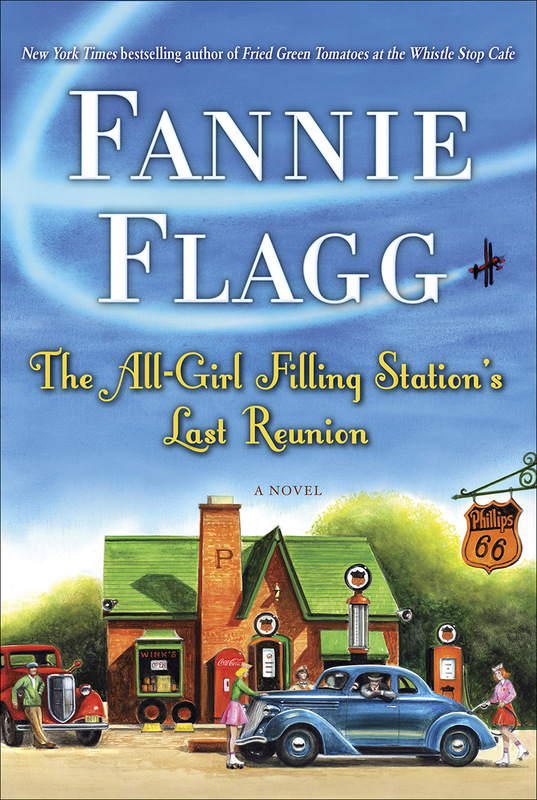 The All-Girl Filling Station’s Last Reunion by Fannie Flagg follows the lives of several women who find themselves connected to each other over time and across the country. Sookie Poole has an overbearing mother and discovers a secret about her past that changes her entire outlook on her future, her past, and her identity. As she navigates her new self, Sookie comes to value herself and her family more than before. While Sookie was fun and at times silly as a main character, I didn’t identify with her as much as I hoped. Perhaps some of that comes from our different phases of life. Sookie is a 60 year old empty-nester with mostly married children and I am only beginning my family. I didn’t see why her big discovery had to be so life altering. Of course, I also do not have an insanely intense mother. I’m glad Sookie found peace and meaning in her life at the end of the novel. That made the journey worth it for me. Fritzi Jurdabralinski is an independent and spunky girl from of Pulaski, Wisconsin, a small town made up of mainly Polish immigrants. During WWII, she and her sisters run their family’s filling station and eventually fly airplanes as part of the WASPs across America. Fritzi must navigate a changing world and changing female roles as she strives to make a name for herself outside of her small hometown. I loved Fritzi for her excitement and intensity. She lives life to the fullest and is not defined by her position as a woman, immigrant, or small town girl. I looked forward to her chapters and story. I have not read any other books by Flagg, but I hear she is a master at character development. I would agree with that claim. She does a great job of building characters through the way they interact with others, the experiences they’ve been through in the past, and how they handle difficulties and change. We really get to know not just Sookie and Fritzi but also Sookie’s husband and children, her mother Lenore (what a character! ), and Fritzi’s family and friends. I love that Flagg takes the time to develop characters so the plot does not overwhelm readers but rather supports the character development. I feel that this novel can be summed up by one of my favorite quotes from the novel. This is what life is all about. “She had learned that being a successful person is not necessarily defined by what you have achieved, but by what you have overcome. My main qualm with the novel is the ending. I felt like we got the climax and then the novel just kept going for a little too long. After the last reunion, I thought the novel would end. That last bit didn’t add much to the plot or the characters for me. In fact, one part came out of no where. I would have ended it earlier. And there is a bit more swearing in some parts (like when Fritzi is in the military) that I didn’t like. Overall, a surprisingly fun novel with fantastic characters, intriguing plots, and great morals. Any Fannie Flagg fans out there? Which of her novels do you recommend? I also read and liked this book very much. Flagg’s other book, Fried Green Tomatoes at the Whistle Stop Cafe, I think is her best, though. It also takes place over two different time periods (and for once, the movie is as good as the book, but if you decide to read it, do that first). And congratulations on your 100 followers. Thanks for stopping by! I do hear good things about Fried Green Tomatoes–I will have to check that out. Thank you!